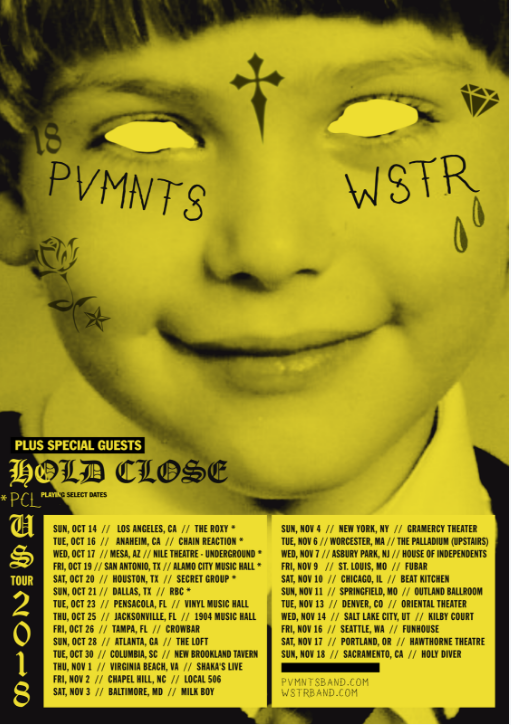 WSTR and PVMNTS have announced their US co-headlining tour, with special guests Hold Close and PCL. This will be the first The tour kicks off on October 14 in Los Angeles, California and travels to cities like Dallas, Tampa, New York and Chicago before wrapping up in Sacramento, Calif. on November 18. A full list of dates can be found below. Select VIP tickets are available now with all remaining tickets on sale this August 10 at 10 a.m. Local Time. WSTR released "Crisis," the second single off their upcoming album "Identity Crisis," out August 31 on Hopeless Records. 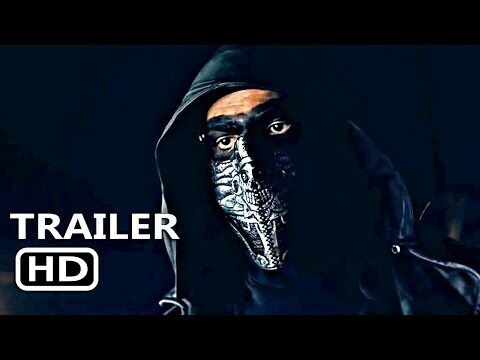 The video premiered August 6 with Rock Sound, and fans can check it out here on the Hopeless Records YouTube channel. In June, WSTR premiered "Bad To The Bone" on BBC Radio 1 and announced their signing to Hopeless Records. Speaking to the new record, vocalist Sammy Clifford expressed the band's desire to move further into the rock world, and channel bands such as The White Strips and Arctic Monkeys. "We've added all these different grenes into our sound while keeping the WSTR roots,"Sammy said. "We stopped trying to write a pop-punk record and wrote straight up big rock songs." Los Angeles-based pop-punk trio PVMNTS are gearing up for their debut EP "Better Days," out on August 17. Last month, they shared the circle pit-inducing track "Chemical Trails". PMVNTS have been making a splash both stateside and abroad with a headline UK tour, Slam Dunk Festival and Vans Warped Tour performances so far this year. The upcoming co-headline tour will be the band's first full US Tour and the first opportunity for fans to hear tracks from their debut EP live. Be sure to follow both bands' social media channels and websites for more information regarding the upcoming co-headline tour. WSTR is Sammy Clifford (vocals), Alex Tobijanski (bass), Andy Makin (drums), and Tom Hawkes (guitar). Identity Crisis is the follow up to 2017's "Red Green Or Inbetween."